Access Success LLC in New Milford recently presented its inaugural $1,000 annual scholarship to Hannah Littlefield of New Milford, a 2018 New Milford High School graduate. 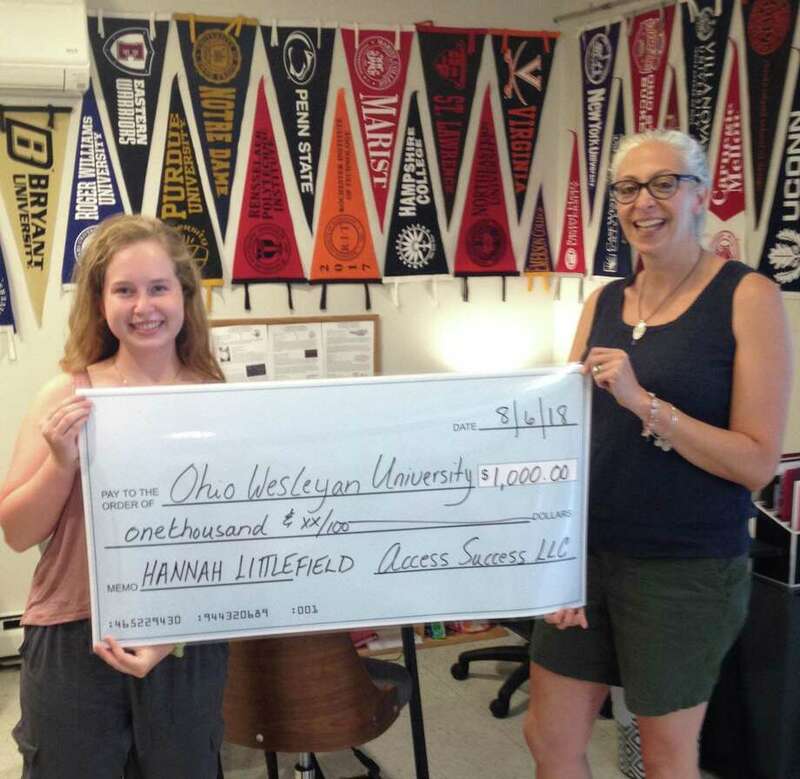 Hannah is enrolled at Ohio Wesleyan University. Of the 60 students Access Success worked with this past application cycle who qualified to apply for this scholarship, a dozen applicants did so. Hannah is shown above with Francesca Morrissey of Access Success.